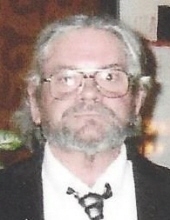 Joseph D. Eisenhower, 65, of Pekin passed away Friday, August 17, 2018 at UnityPoint Health Methodist in Peoria. He was born January 23, 1953 in Kansas City, MO to William and Patsy Couch Eisenhower. He married Mary Anne Gschewend September 23, 1983 in Pekin; she survives. He is also survived by his son, Matthew Eisenhower; twin sister, Beck Eisenhower; brothers, Ron (Debbie) Eisenhower, Dan Eisenhower and many nieces and nephews. His parents preceded him in death. Joseph served in the U.S. Navy during Vietnam. He worked as an automotive technician. He loved fishing and was an avid bowler and Chicago Cubs and Chicago Bears fan. Cremation has been accorded and private family services will be held. To send flowers or a remembrance gift to the family of Joseph Eisenhower, please visit our Tribute Store. "Email Address" would like to share the life celebration of Joseph Eisenhower. Click on the "link" to go to share a favorite memory or leave a condolence message for the family.